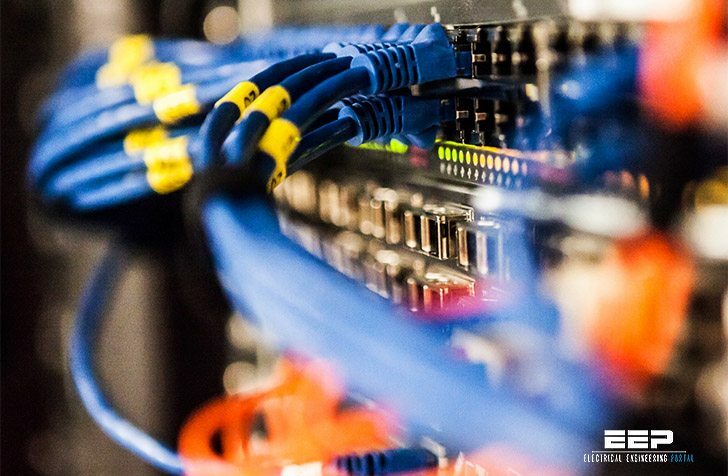 Today’s data centers house a large number of diverse bandwidth-intensive devices, including bladed sewers, clustered storage systems, virtualization appliances, and backup devices – all interconnected by networking equipment. These devices require physical cabling with an increasing demand for higher performance and flexibility, all of which require a reliable. scalable. and manageable cabling infrastructure. Challenges arise not only with trying to research emerging data center cabling offerings in order to determine what you need for today and for future growth, but also with evolving cabling industry guidance which sometimes lags in the race to deliver standards for deploying technologies such as 10 Gbit/sec data transmissions and beyond. The structured approach to cabling involves designing cable runs and connections to facilitate identifying cables, troubleshooting, and planning for future changes. In contrast, spontaneous or reactive deployment of cables to suit immediate needs often makes it difficult to diagnose problems and to verify proper connectivity. 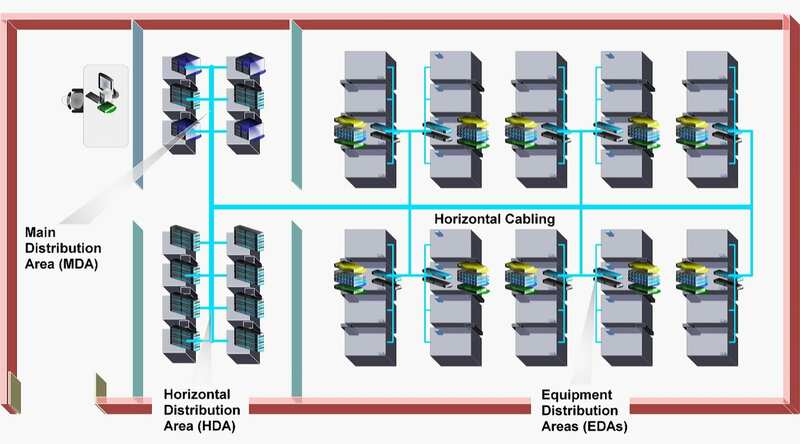 Using a structured approach means the following: establishing a Main Distribution Area (MDA), one or several Horizontal Distribution Areas (HDAs), and two-post racks for better access and cable management. The components selected for building the MDA and the HDA should be of good quality and able to handle anticipated and future loads, as this area will house the bulk of the cabling Include horizontal and vertical cable managers in the layout. The MDA will house the main cross-connects as well as the core networking equipment. The HDA will house the cross-connects for distributing cables to the Equipment Distribution Areas (EDM). Patch cables will be used to connect equipment such as servers and storage using the patch panels at their designated EDA. Plan the layout of the equipment racks within the data center. Cables will be distributed from the HDA to the EDA using horizontal cabling. Dynamic data center environments call for a great deal of flexibility in connectivity, and the objective is to implement a cabling system with copper and fiber media capable of transmitting Ethernet, Fiber Channel, and any other protocols specific for the environment. Ensure that you address both current and future port counts and applications needs! Plan for growth and for changes in technology, and implement the projected ports and cabling now while the tiles are off and other cables are being run. It will cost a lot more in labor and downtime to perform an upgrade later. 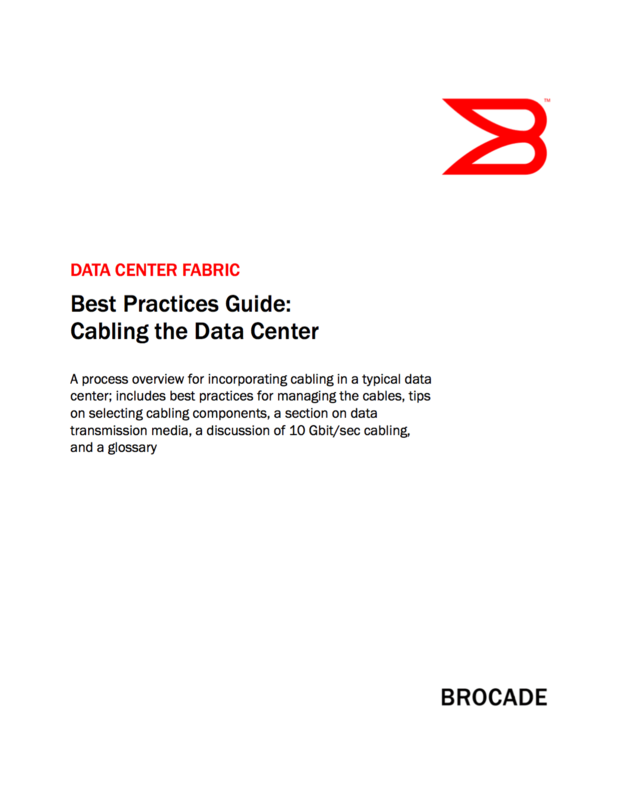 Title: Best practices guide for cabling the data center – Brocade Communication Systems Inc.
Best practices guide for cabling the data center – Brocade Communication Systems Inc.